Epigraph’s primary motivation and mission is to provide authors with creative, financial and legal control while still providing them with the support of seasoned publishing professionals. The result is self-published books which do not look or act self-published. 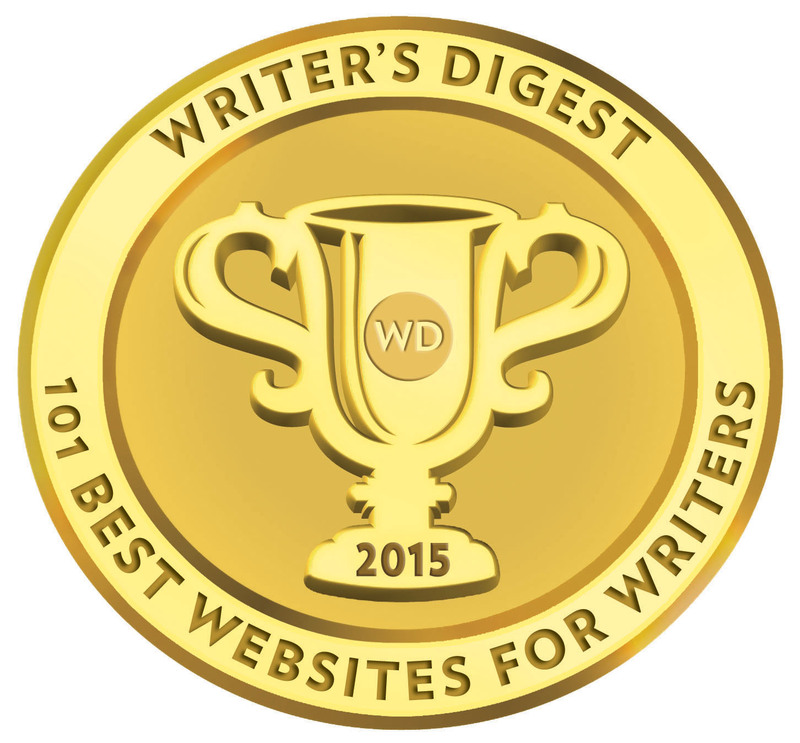 Epigraph is a full service book publishing company for self-publishing authors. Authors retain all rights while working with trade book publishing professionals. Whether it is ISBNs and barcodes, or editing, design, and distribution, we have your publishing needs covered. Epigraph’s Self-Publishing Process is designed to save you a lot of time and money while helping to produce the highest-quality book possible. 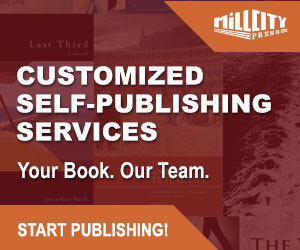 Our step-by-step, individually guided process makes the inherently complex business of book publishing understandable by breaking it down into bite-size pieces, and by sequencing publishing steps and, hence, publishing decisions, in a way that is similar to traditional publishing. The sequence is designed to eliminate the most common errors found in book publishing, and to bring informed thought to the key decisions that the author-publisher will need to make. 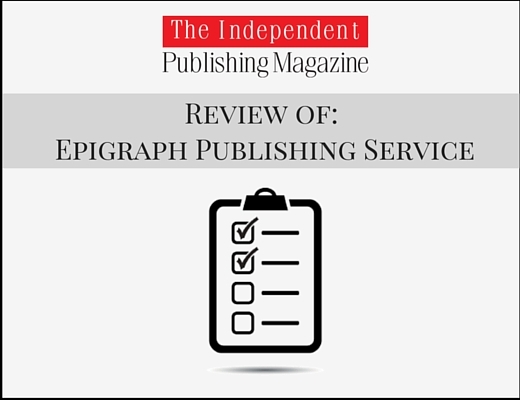 Epigraph offers a broad range of publishing services including DIY and supported self-publishing options. These services can be combined with traditional publicity services. It is clear from the outset that while it is a service business, it does not place profit before quality of product and good customer service. We’re not in this business simply to turn a profit. 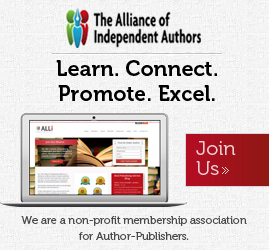 We’re here to empower our authors to create great literature. We are as safe—and as smart—a harbor for your books and intellectual property as you are likely to find in this wild, new digital world. We strive to be ‘good company’ in all senses of the phrase. I firmly believe you will find this philosophy reflected in all of our products and services. Essentially Epigraph offers three approaches to book publishing and much will depend on the needs of the author according to the specific book project itself, and whether the partnership between author and service provider should also include business-orientated white label solutions. At times I found that some authors may find it difficult to understand or differentiate between Custom and Hybrid publishing solutions from reading this website page. This is one reason why I do think prospective authors and organizations should take up the offer of a free consultation. There is no hard sell here or wish to entrap authors into making commitments or choices they may not be happy or comfortable with. Rather, that both author and service provider — from the outset — understand the goals and product requirements of the book project. – Does ‘free, no obligation consultation’ mean I will be contacted by a salesperson? In a word, no. We feel publishing is a significant, potentially life-altering event that should be undertaken in as clear-minded and informed a fashion as possible, and not under the duress of sales or marketing tactics or people. We do not follow up exploratory consultations with emails or phone calls, though we will, no doubt, be very happy to have you come back as a client. Those who wish to stay in touch can sign up for our newsletter. On-demand publishing is described as ready-to-market publishing and comes in three packages; Trade Books (from $1,099 to $4,999), Children’s Books (from $499, $699 and quote on request) and Supported DIY (from free for private print projects to $749). The real strength of these packages is that the author can choose their level of input during the publishing process and decide on the support level needed for certain tasks. Copyediting (up to 50,000 words) is included in the two Pro-Grade packages priced at $2699 and $4999 respectively. This could seem quite restrictive for many authors because the word count would be below the length of many book projects. If your manuscript exceeds 50,000 words, Epigraph will charge an additional 1.6 or 2.2 cents per words depending on whether your work is fiction or nonfiction respectively. Nonfiction copyediting includes fact-checking alerts. Full legal and creative control while still accessing the knowledge and skill sets of publishing professionals. The Custom Publishing package ($249 – $699 with add-on services from an ala carte menu) is Epigraph’s complete turnkey solution for authors with books that cannot be easily accommodated using standard paper and cover stocks. The packages remain cost-effective while still providing distribution and customized print runs (short and offset). This option looks particularly suitable for indie authors/micro-publishers looking for an outsourced, flexible solution and can provide production files. Hybrid Publishing is Epigraph’s answer to various kinds of publishing models/agreements. This kind of arrangement might be suitable for an organization looking to develop a series of books or a new, small publishing press unfamiliar with the publication process. It also could be an option for a highly successful traditionally published author wishing to find a complete publishing solution while maintaining overall control and management of their book portfolio. Costs will be subject to the agreed services contracted. Distribution is one area that consistently mystifies authors and is often compounded by poor or deliberately inaccurate information from self-publishing service providers; in particular, confusing wholesale distribution with trade sales distribution. Epigraph does a pretty good job of explaining the various methods of book distribution and how it works from the perspective of an author. I would note Epigraph states that ‘Print-on-demand is a relatively new, though now widely used, printing technology…’ and somewhat (like other publishing service providers utilizing POD) presents print-on-demand as brand new to the world of self-publishing. Print-on-demand has been used since 1999/2000, and by 2005 was widely used by most providers offering self-publishing services to authors. Wholesale distribution is available to Epigraph authors through their Custom Publishing packages and authors must commit to a minimum of 50 copies to support the supply chain. Unlike many so-called self-publishing service providers, Epigraph — as an offshoot service imprint of Monkfish Publishing — has access to a dedicated book distributor, Consortium. This is a distribution option many publishing service providers mislead authors into believing they have on offer. I consider this one major reason why Epigraph should be ranked among the top range of full service providers. That said, conditionally, Epigraph may need to do more to promote this avenue of distribution and better explain if it is available to all authors using Custom/Hybrid Publishing packages or whether there is a process of curation for select titles. Epigraph offers authors print-on-demand (POD), short run, and web and offset printing options with bulk order discounts (per unit cost) available above a quantity of 50 copies. Even with POD, trim and format options are extensive for both B/W and color books. The website also features a print and royalty calculator. From an example of a b/w paperback, standard size of 300 pages, the print unit cost is $8 ($6.30 for a similar spec book of 200pp), and bulk discounts are taken off the static unit price as the order unit size increases. A similar book printed by Lightning Source would cost approximately $5. Print costs become a better comparative when more than 500 units (with a 25% bulk discount) are ordered. This may prove off-putting for some authors depending on how many books they wish to order for promotional and marketing use. The above example is based on a 36% discount to the seller, and seller discounts can be set as low as 20%. But I still feel that authors may have to set their retail pricing on the higher side to achieve a respectable profit per unit sold in the sales channels. Setting low seller discounts may also be off-putting to retailers who ordinarily might want to stock you book. Marketing consists of the following services. Marketing services are heavily focused to online targeting, but backed up with both localized promotion directly to the retail trade and industry journals serving the trade. Epigraph does not make mention of the direct sales activities of its distributor, Consortium. Again, if Consortium is used for the Epigraph catalogue, this might include the distribution of sell sheets and catalogue inclusion with orders and/or sales representation. Marketing services range from a few hundred dollars up to $4000. As with all self-publishing service providers, authors need to be prepared to involve themselves significantly with marketing activities and providing post content for social media accounts once set up. Epigraph’s publishing process and marketing services is about author involvement and empowerment. At a retail price of $12.99, the royalty works out at $0.21 ($12.99 is simply too low a retail price for a 300 page book in the USA—the real range that would be used by USA-based trade publishers would be $14.99 to $18.99 depending on anticipated sales levels and whether the book is fiction (lower priced) or nonfiction (higher priced). In certain cases it absolutely makes sense to reduce the wholesale discount to the minimum since Amazon accepts that low of a discount and is absolutely controlling the lion’s share of all POD sales. For example, one of our bestselling books is a specialized book on Angels. The book is 380 pages and has a retail price of $25. This book earns an Author Royalty of $12.00 on every book sold through Epigraph’s distribution channel. For a standard 300pp book of fiction, I would be concerned with a market price much higher than $18.99. I’d like to see better real world breakdown of print/discounts/royalties on the Epigraph website for books sold through specific retail channels. It’s the one area of Epigraph’s services that lacks a degree of transparency and something an author may not give full thought to until well into the production/publication process. Publication fees are very fairly priced and the range and breakdown of packages from DIY through to fully supported publishing packages shows considerable thought and offers a wide array of flexibility for authors. In regard to the Custom Publishing packages (Turnkey solutions) at $249-699, I believe that authors with completed production files may be more swayed to work with platforms like IngramSpark and CreateSpace directly rather than contracting and paying the cost of Essentials (+) and Trade packages. This program is primarily for books whose physical characteristics forestall their ability to be distributed by either Amazon or Ingram. The most common examples are books with a horizontal trim size such as found in children’s and art books. Also it should be pointed out that eBook conversion and distribution is included in the more expensive packages, a service for which Mill City Press charges $798. Epigraph has placed itself well in the market with a wide variety of publishing services which should appeal to authors going the DIY route or looking for full service support on a book project. Epigraph has also got a strong setup for publishing solutions for B2B clients looking for white label solutions. There is a clear understanding of the needs of modern authors and on the whole the process of publishing and services offered are presented in a transparent and thoughtful manner without confusing or misleading authors. There are some areas that could do with some fine-tuning as to how information is orientated on the website and presented to prospective authors and the potential of white label solutions for clients (B2B). I found the PORTFOLIO page on the website odd, though I appreciate it is to draw focus to the best books Epigraph has to offer in its catalogue and different levels and types of design work. I am happy to say the company does plan to introduce its own online bookstore soon. The company will also be introducing a free PDF download as a publishing guide to their services shortly. I would recommend Epigraph make their contract/publishing service agreement available to read online. I appreciate that the range of services and potential B2B partnerships might create differing contracts, but there still should be a basic agreement available for the DIY and on-demand packages/services. Even if it means raising the cost of the Pro-grade packages, I would raise the maximum copyediting word count upwards of 50,000. Authors should remember that they will have to pay for the additional length at 1.6 and 2.2 cents per word on fiction and nonfiction respectively and that is going to affect many authors rather than just some with a book of short length. $129 strikes me as very high if it is just for a single ISBN and registered to Epigraph, though it is worth noting the Bowker themselves charge $150 for an ISBN and barcode. Epigraph offers the flexibility for authors to use their own registered ISBNs on any package and I have always believed that buying a block of ten ISBNs from Bowker for $295 is the best option for authors. Epigraph should make clearer the nature of its trade distribution (via Consortium) and if this is available to all self-published authors. This is a major offering above some of its competitors. Epigraph lists all the retail channels/library channels available to authors when they sign up to its services. Publishing services, at times, simply reference Ingram and that may not mean a lot to some authors, particular those new to publishing. They may perceive Ingram as a retail channel, not a network to access many retailers and libraries in print and ebook. If $8 is the real print cost for the 300 page book example above in this review, then I would examine other potential print sources like Thomson-Shore etc. 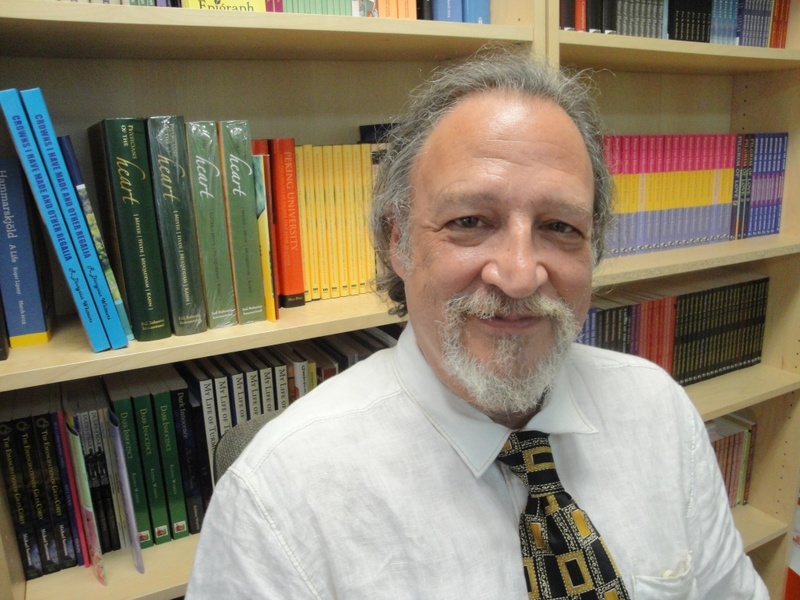 At the end of this review Paul Cohen explains the Epigraph approach on print pricing. The full breakdown of print costs/retail-wholesale discounts/royalties would be better explained and detailed by providing specific examples of different books at different prices rather than just a reliance on the print/royalty calculator. Paul Cohen of Epigraph was kind enough to provide some feedback following this review and address some of the points I raised. It’s the only service like it on the market. This is one way that authors can make higher royalties with Epigraph than with service providers whose apparent print cost is lower. This approach to design gives us the capacity to exert control over a book’s printing cost though the heightened control of the book design processes as overseen by a seasoned trade book publisher. It is about finding just that right formula which decreases print cost through reduced page count while forsaking nothing from the book’s readability factors such as font type and size, letting, margins and trim sizes. For manuscripts with more than 50,000 words, authors are charged the competitive rate of either 1.6 or 2.2 cents per word for fiction or nonfiction (with fact-checking) respectively. I firmly believe we are more closely aligned to Matador than any of the other publishing services rated by virtue of our bringing a traditional publishing experience to bear on our services, including our distribution capacities. In the USA, I believe it’s important to point out how we compare with Mill City. This is a classic trade-off between discount printing (Mill City) versus discount publishing services (Epigraph). The vast majority of authors in the long run will save money without sacrificing quality by going with Epigraph. In fact, because of Epigraph’s fluid publishing agreement this is essentially guaranteed to the author who needs it to be so. Allow me to provide a pertinent example. One of Epigraph’s most popular publishing packages is our multiple format package which delivers paperback, hardcover and eBook editions of a title for a cost of $1599. That same suite of editions at Mill City carries a cost of $3594. This is to say a Mill City author will pay an additional $1995 for the same services. Supposedly, they will make up this difference in cost because Mill City is not marking up printing costs. As we know (and can be seen on Mill City’s site), the print cost for a 200 paperback is $3.90, whereas the Epigraph charge for that same single copy printing is $6.30, or an additional $2.40 per book. Therefore, in that example, the Mill City author will recoup their extra expense once they have sold 832 copies (derived from dividing $1995 by $2.40), at which point they would have broken even with what their costs would have been at Epigraph. Now, as you know, most self-published books do not sell that many copies. And what makes it even more difficult to recoup your money is the higher cost of Mill City’s marketing services. Most authors will simply never recoup the additional charges they’ve spent in publishing services. The ‘moral’ of the Mill City business model is that when you operate on a zero profit basis in your print costs, you have to make it up by charging more for publishing services. By contrast, the Epigraph model offers a lower cost threshold to get published in the first place, while its flexible wholesale discounting policy, and its lower costs for services overall, make it that much easier to achieve a return on one’s publishing investment.